Simple, bright and refreshing. 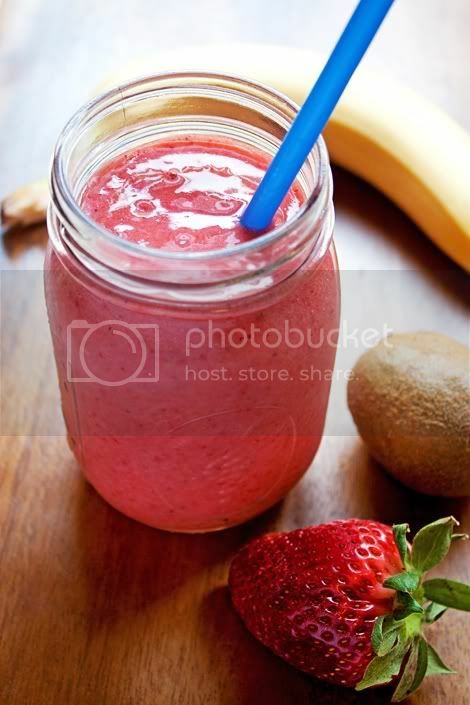 I woke up early this morning and made strawberry, banana and kiwi smoothies. All you need is fruit, a tiny bit of sweetener, half a lime and ice. Use cold almond milk instead of ice for extra creaminess plus added vitamins, minerals and antioxidants. If you'd like to try your own smoothie, it couldn't be easier. 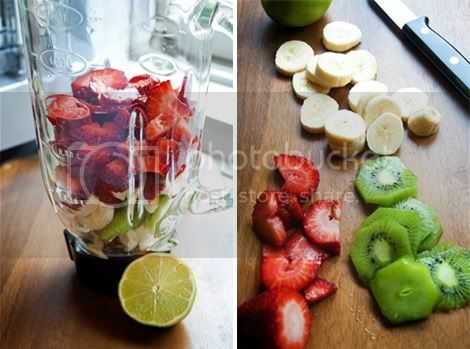 Just fill a blender about halfway with fruit — get creative and mix any types you'd like, though generally softer fruits work best — add the juice of half a lime, 1 tablespoon of honey or granulated sugar or 1/2 tablespoon agave nectar (or to taste), and about 10 ice cubes, and blend until smooth and creamy.